Habitación confortable, trato personal excelente, atención al detalle, hasta pudimos imprimir el check in del avión. Comidas en general,sabrosas y abundantes. Zum Abendessen gab es ein Buffet. Das war sehr lecker. Das Frühstück war ebenfalls in Buffetform und auch sehr lecker. Der Pool und der Innenhof sind sehr nett angelegt. Zaghro This rating is a reflection of how the property compares to the industry standard when it comes to price, facilities and services available. It's based on a self-evaluation by the property. Use this rating to help choose your stay! 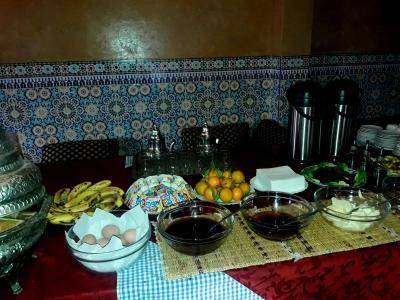 This traditional riad is located in Quarzazate, near the city center. It features a large indoor swimming pool, a gastronomic restaurant and free Wi-Fi access. 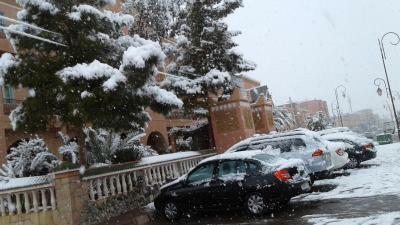 Guest rooms at the Hotel Zaghro are air conditioned and equipped with a TV with satellite channels. Each room has a private bathroom, and some also have a balcony overlooking the pool. 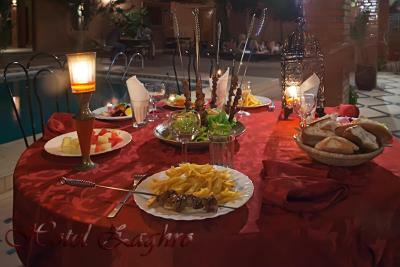 The Zaghro’s restaurant serves traditional Morroccan cuisine along with a daily breakfast, which can be enjoyed on the pool-side terrace. 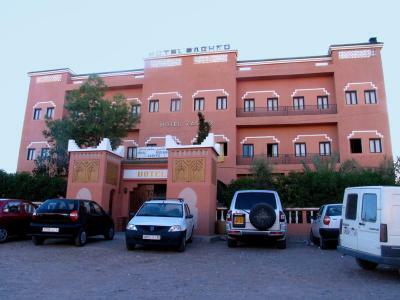 Additional facilities at the Zaghro hotel include a 24-hour reception and private parking. 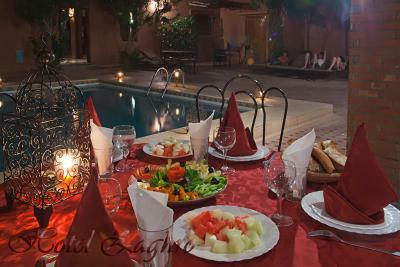 When would you like to stay at Zaghro? House Rules Zaghro takes special requests – add in the next step! Zaghro accepts these cards and reserves the right to temporarily hold an amount prior to arrival.